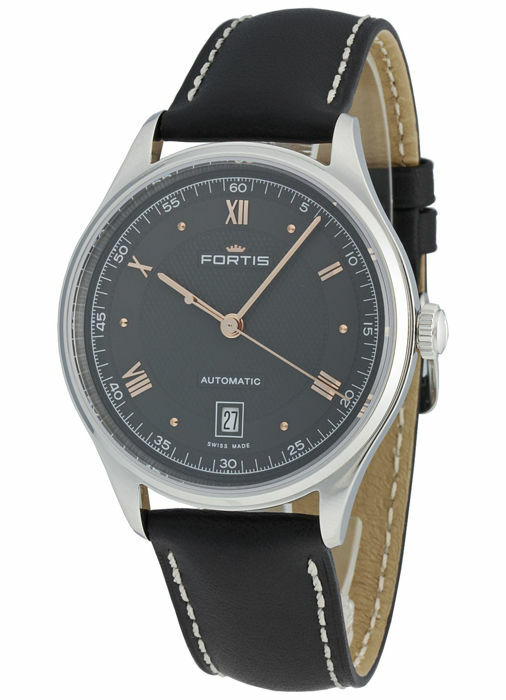 The timepiece Fortis Terrestis 19Fortis p.m. 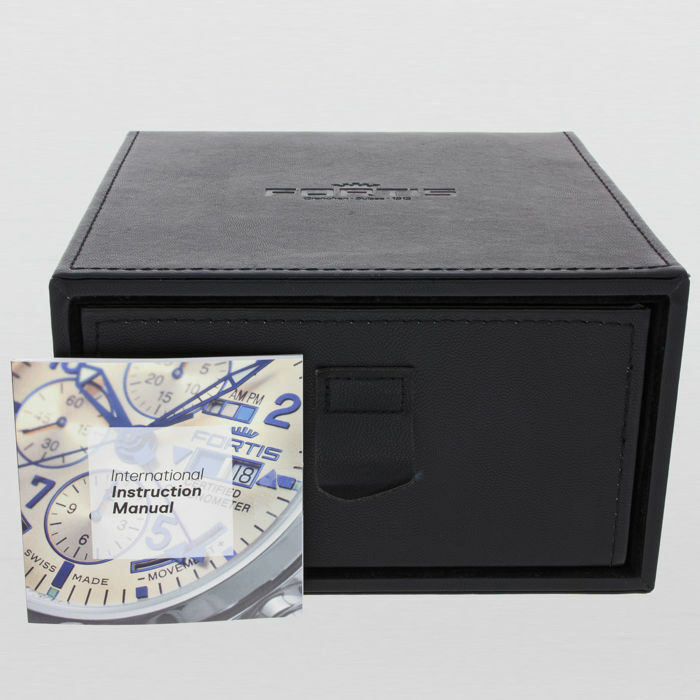 Date Automatic 902.20.21 L.01is a men's watch manufactured in Switzerland with the reference number 902.20.21. L.01. 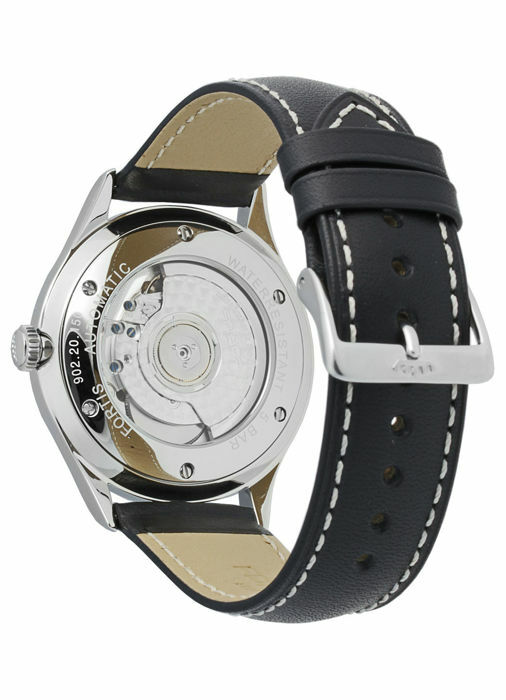 Manufactured by the famous luxury watchmaker Fortis. This Fortis model has an automatic movement with an ETA 2892-A2 calibre with a power reserve of 42h, 21 stones and oscillations of 28,800 A/h. The casing is made of robust stainless steel with a diameter of 40 mm (casing width without crown), a casing height of 12 mm paired with a dial in grey. The 902.20.21. L.01 has a leather strap in black combined with a buckle. Moreover, the crystal of the timepiece is a scratch-resistant sapphire crystal. 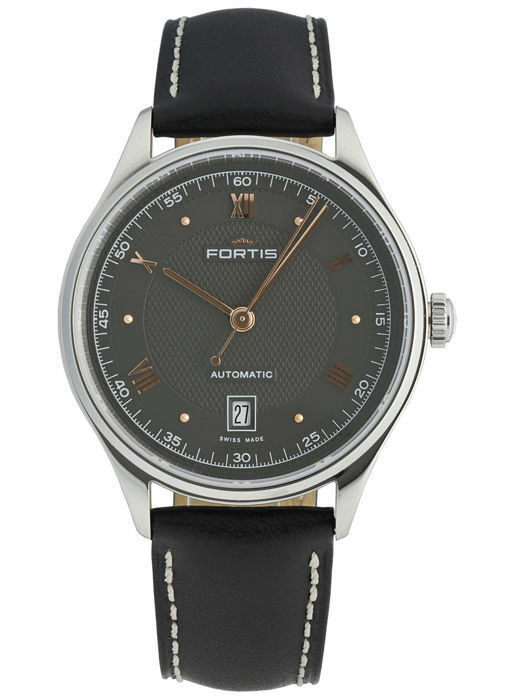 In addition, this Fortis model is water resistant up to 5 bar (50 metres) and has the following features: date, hour, minute, second. 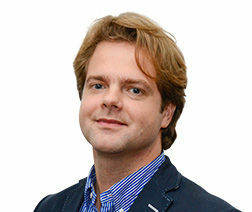 Shipment with DPD, internationally with FedEx.